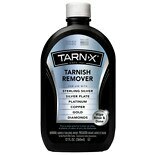 Shop Tarn-X Tarnish Remover (12 oz. )12 oz. $779$7 and 79 cents$0.65 / oz.